Nursing home residentsare among the most vulnerable people in society. About 20 percent of Florida’s population are elderly, and a significant proportion of the elderly reside in nursing homes. Nursing home abuse attorneys are personal injury lawyers, just like us, who take a special interest in putting a stop to the abuse of the elderly (and sometimes younger people) who reside in nursing homes, and in securing just compensation for nursing home abuse victims. Physical abuse, including the use of inappropriate restraints. Emotional abuse, including verbal abuse. Neglect: Neglect in a nursing homeis often caused by staff shortages or by greedy owners who place profits above the well being of their residents. Nursing home abuse doesn’t have to fall within one of the foregoing categories to justify a nursing home abuse claim. Unexplained weight loss or dehydration. The foregoing list is not an exhaustive list of all possible symptoms of nursing home abuse or neglect. Likewise, many of these symptoms could arise for reasons other than abuse — dehydration might result from an unavoidable medical condition for example. A skilled nursing home abuse lawyer is likely to be in a strong position to identify a high likelihood that abuse is occurring. Moreover, nursing home abuse lawyersoften know how to detect nursing home abuse even when the symptoms are not obvious. If you establish that nursing home abuse has occurred, your first priority will of course be to remove your loved one from the abusive nursing home, alert the authorities, and remedy any harm that was done to your love one the best you can. Your next priority is likely going to be to ensure that your loved one receives fair and just monetary damages. Monetary damages can be awarded for economic losses such as unnecessary medical expenses, as well as for non–economic losses such as mental anguish and pain and suffering. In cases of outrageous behavior by the nursing home or its staff, your loved one might even be entitled to punitive damages in addition to ordinary damages. If your loved one dies from nursing home abuse, the personal representative of your loved one’s probate estate can file a wrongful death lawsuit against the nursing home and any other responsible party. Such a lawsuit would seek damages for certain losses arising from the death, including emotional damages such as the loss of companionship and guidance provided by your loved one and costs for funeral and burial expenses. Most of the damages are likely to go to close relatives and other relatives who were dependents of your loved one. Your loved one’s probate estate will be entitled to reimbursement for certain expenses, such as funeral expenses, if they were originally paid by the estate. How are Florida nursing homes regulated? Florida nursing homes are regulated at both the state and the federal level. Federalapply only to nursing homes that accept Medicare/Medicaid. If you can prove that the defendant violated a nursing home regulation, this is considered proof that the nursing home was negligent. If the negligence caused the abuse, then you are likely to win compensation. My mother broke her hip in a slip and fall accident at a nursing home. 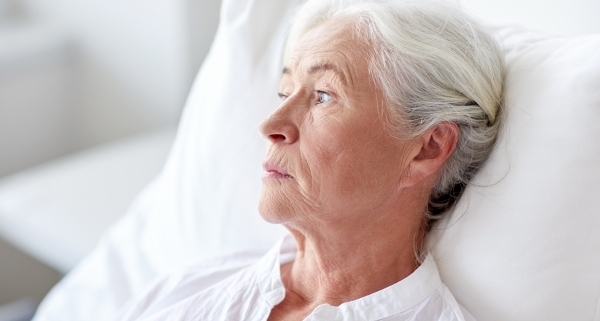 Can I hold the nursing home liable? Perhaps. Your best chance of winning this type of claim would be to prove that the accident was caused by some sort of misconduct on the part of a nursing home employee, or that the nursing home acted negligently and that this negligence caused the accident (suppose the nursing home provided your mother with a defective walker, for example). Is improper medication considered a form of nursing home abuse if my loved one was not injured by it? Take up the issue with the staff or administration; or a nursing home abuse lawyer. Can a nursing home abuse claim be settled out of court? Yes, and in fact most nursing home abuse claims are settled out of court. To convince a nursing home to agree to a settlement, however, you will have to show that you have a good chance of winning in court if the nursing home refuses to settle with you privately. Victims of nursing homeabuse are often unable to stand up for themselves. At Lorenzo Law, however, we know how to fight back against the unspeakable offenses committed against those who cannot fight for themselves. We know exactly what actions to take to stop abuse or neglect in nursing home cases, and we know how to secure every dime that your loved one deserves in exchange for his or her suffering. Call us at (305) 999-5411,fill out our online form, email us at jml@joselorenzolaw.comor visit our officein Coral Gables or Ft. Lauderdale to schedule a free consultation. We serve nursing home abuse victims in Broward County and Miami-Dade County.